You can’t talk about pool heater repair without mentioning the change in design of the modern, Lonox pool heater. Several states including California came out with regulations for better air quality standards that heater manufacturers had to follow. You can rest assured that modern pool heaters emit fewer pollutants into the air than previous heater designs. A few other advantages are that the modern, LoNox pool heater has far fewer issues with steaming internal water from running so hot and they are more convenient and precise with digital displays. Older pool heaters would run the internal heat exchanger (is a series of metal tubes going back and forth over the flame) so hot that the water inside the heater exchanger would boil if the pool pump stopped after the heater was running for some time. You have to turn the pool heater off 10 to 15 min. before turning the pool pump off. This is still good practice and modern control systems will have a cool down function to avoid the potential problem even with the modern pool heater. Just know that the older heater designs had far more issues with the melting and disformation of plumbing, system parts, valves, equipment etc. Really old systems used to be mostly or all metal and recent innovation brought in plastics, pvc, fiberglass, etc. which have less tolerance for heat than copper. To keep this simple, the modern, LoNox pool heater has fans and/or blowers to help keep the heat exchanger cool. This is a welcomed advance! The modern LoNox pool heater is mainly digital and has the capability to link to a control system with even more convenient capabilities. You can heat your swimming pool to exactly 85 degrees for instance. Older temperature dials would have to be calibrated with testing the pool water and positioning of the temperature dial. What a pain! Today, you can turn your spa on to 102 degrees with a cell phone on your way home from work, so it’s hot and ready once you get home from a stressful day of work and traffic. These innovations are great, but they do come at a cost. We now have several computer and eletronic parts, sensors, fans, etc. that will go bad over time. Older pool heaters were pretty simple and straight forward. Today, there are multiple expensive parts and computers in an outdoor application that cause for more common repair with more expensive parts. We never know what we’re getting into until we open up the pool heater and they do not last as long as the older pool heaters without all the bells and whistles. You can expect to pay more for the pool heater and installation than older pool heaters with less life expectancy and more common, costly pool heater repair. It is not uncommon to see a pool heater repair bill for $600 to $800 in total, so this is just something to keep in mind when you need a pool heater repair. The pool innovations have been great, but they have added to major expense for swimming pool owners. Control systems, colored led pool lights, electronic valves, salt systems, etc. etc. have added a lot of extra expense to the swimming pool, so my advice is to use your swimming pool as much as possible. Cick that link to learn some ways to enhance your swimming pool experience. There has been a learning curve with all of the heater manufacturers. There are several things to consider before picking which pool heater is best for your pool. Read that link if you are considering a new pool heater and want to learn which one might be best for you. Considering we have computers and electronics in an outdoor setting, we can expect some issues with the digital control panels, motherboards, sensors, etc. Salt water pool systems have also added some potential corrosion with metal, so we usually advise curo-nickel heat exchangers for salt water pool systems. 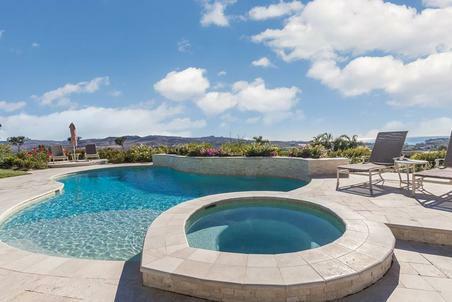 Learn more about salt water pool systems here. You should expect a troubleshooting fee for a pool heater repair where a pool heater repair tech. will test voltage and inspect the inside of the pool heater for all the potential problems and repair needs. There could be multiple pool heater repair needs inside once opened up. 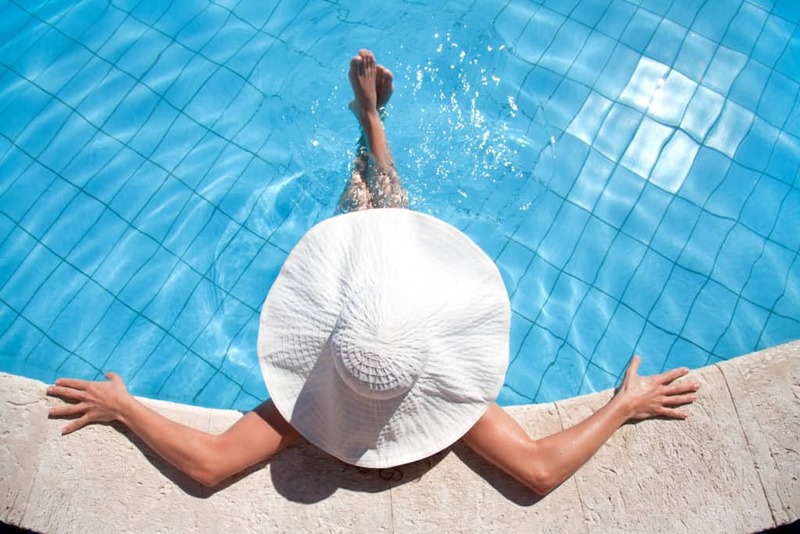 We try to make sure that your pool heater needs pool heater repair before we set up a troubleshooting service and fee. We will check your filter pressure first. Dirty pool filters are a common reason for pool heater failure. If filter pressure is high, it may just need to be backwashed. If the filter pressure is good along with water flow, check out the error code on your pool heater. This is helpful if you call a pool heater repair technician. Is the pool heater cycling on and off? Is the pool heater heating up to a certain temperature and turning off? Things to be aware of are rats/rodents inside the pool heater, leaves and debris trapped on top of the pool heater, and dirty filters. 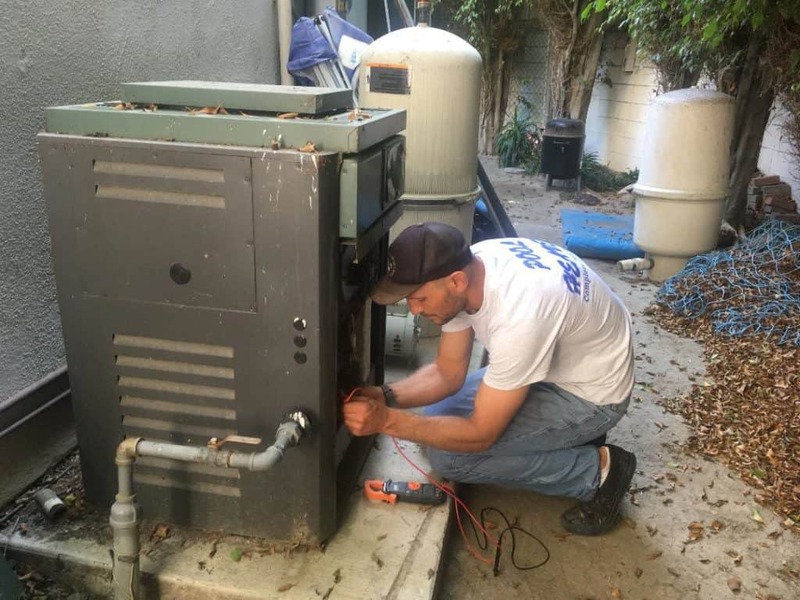 We first try to make sure our customers need the pool heater repair before we set them up for the troubleshooting fee and we have to schedule these pool heater repair jobs. My advice is to test your pool heater weeks before you plan on using it for a party or event. A pool heater repair can take some time as they may involve ordering parts and multiple issues. Read our blog about pool party planning to stay ahead of the game. 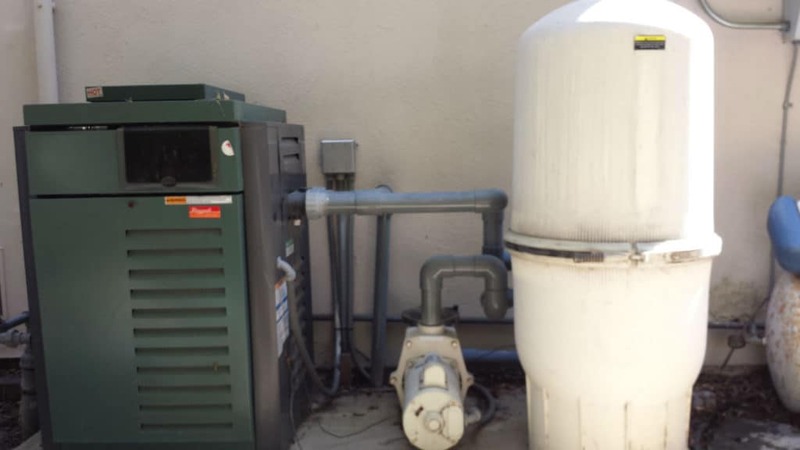 Newport Beach Pool Heater Repair, Newport Coast Pool Heater Repair, Cypress Pool Heater Repair, Huntington Beach Pool Heater Repair, , Westminster Pool Heater Repair, Irvine Pool Heater Repair, Fountain Valley Pool Heater Repair, Santa Ana Pool Heater Repair, Costa Mesa Pool Heater Repair, Orange Pool Heater Repair, Tustin Pool Heater Repair, Villa Park Pool Heater Repair, and Orange Pool Heater Repair.